Episode #62: Superman's Origin Stories! THE STORY OF SUPERMAN'S LIFE from SUPERMAN #146, Reprinted in SUPERMAN IN THE SIXTIES (if you would like to read these stories before you listen to this episode. To listen to the details of a third Superman story, SUPERMAN'S RETURN TO KRYPTON, which details Superman's discovery of his Kryptonian heritage, go to the GOLDEN AGE OF COMIC BOOKS PODCAST at: http://goldenagecomics.org/wordpress/2006/08/15/golden-age-of-comic-books-august-15-2006-42 . 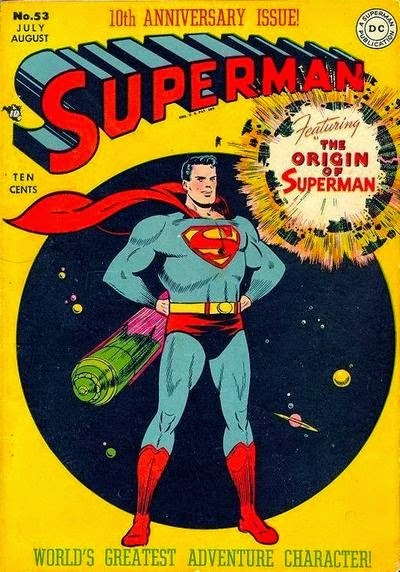 Bill Jourdain also covers details about Superman's golden age origins. Expanded show notes can be found at http://supermanfanpodcast.blogspot.com . Send e-mail about this podcast to supermanfanpodcast@gmail.com . 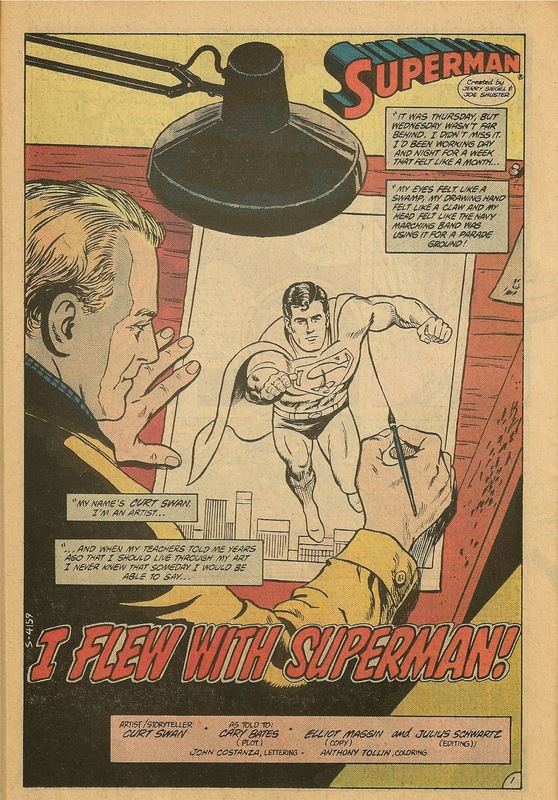 Episode #61: Curt Swan: I FLEW WITH SUPERMAN! The title page for the story I FLEW WITH SUPERMAN, the second and final story in SUPERMAN ANNUAL 9, 1983! Curt Swan was born on February 17, 1920. To commemorate the anniversary of his birth, the feature for this episode is the back story of SUPERMAN ANNUAL #9 from 1983, I FLEW WITH SUPERMAN. Curt Swan co-stars with Superman in this story that Curt inked over his own pencils, one of the few stories with which he did so. I could find no reprint information about this story. I will be sharing the entire plot of the story. So if you would like to read this story before listening to this episode, you should be able to find it on line or in the back issue bins of your local comic book store. Expanded show notes can be found at http://supermanfanpodcast.blogspot.com. Send e-mail about this podcast to supermanfanpodcast@gmail.com. MY PULL LIST is my spoiler free comic book review blog, which can be found at http://mypulllist.blogspot.com . Send e-mail about this blog to mypulllist@gmail.com. Superman and all related characters are trademark and copyright by DC Comics. Episode #60: ClarK Kent's College Girlfriend! 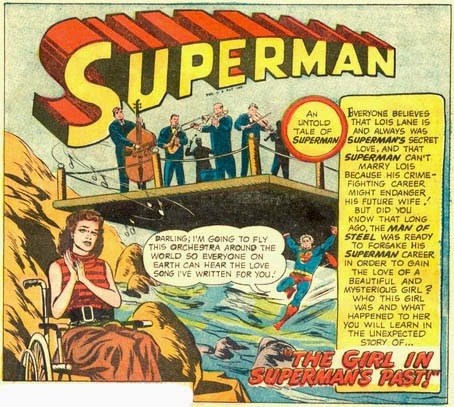 THE GIRL IN SUPERMAN'S PAST, the third and final story in SUPERMAN 129! SUPERMAN: THE MAN OF TOMORROW ARCHIVE VOL. II hc. I also discuss another story which can be found in SHOWCASE PRESENTS: SUPERMAN VOL. II. Episode #59: Happy Birthday, Ray Middleton! Ray Middleton was born on February 8, 1907. He holds the honor of being the first actor to portray Superman in costume. That occurred at Superman Day at the 1939-40 New York World's Fair, on July 3, 1940. To learn more, go to http://superman.nu/sites/supermanday , and http://supermanhomepage.com/other/other.php?topic=dyk-ray-middleton . To learn more about the team ups of Superman, Batman and Robin in WORLD'S FINEST COMICS, go to episode 58 of the GOLDEN AGE OF COMICS podcast hosted by Bill Jourdain. That episode can be found at http://goldenagecomics.org/wordpress/2008/08/24/golden-age-of-comic-books-august-24-2008-58/ . SUPERMAN FAN PODCAST can be found at http://supermanfanpodcast.mypodcast.com . MY PULL LIST is my comic book review blog of the titles I read every week. It can be found at http://mypulllist.blogspot.com . Send e-mail about this blog to mypulllist@gmail.com.